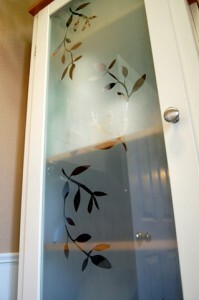 I have just a few more examples of projects stenciled with Frosted Glass Spray to share with you today. 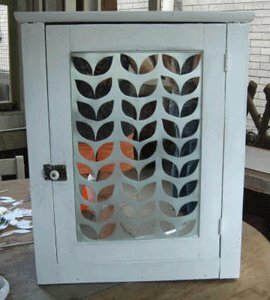 Part II of our look at stenciling with frosted glass spray includes two cupboards and a table. 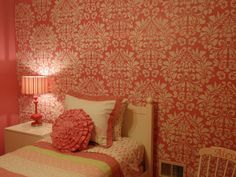 Each of these three makeovers was accomplished using a reverse stenciling technique. If you missed Part I, you can find it here. Diana, of Fine Diving, gave this small cupboard a big makeover, inside and out. She used Krylon Frosted Glass Finish and masks to reverse stencil a leaf pattern onto its mirrored front. Carolyn, of Three Birds Life, used Rustoleum’s Frosted Glass spray and a reverse stenciling technique to hide away items stored in her bathroom cupboard. 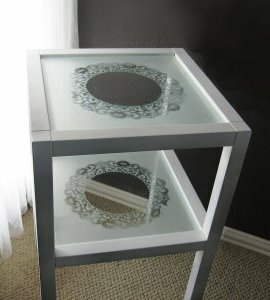 Kristina, of The Purple Pea, stenciled this adorable side table using frosted glass spray and a doily as a stencil. 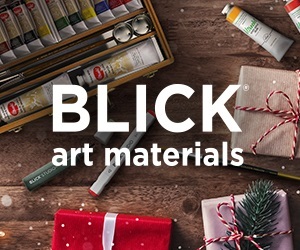 This project would have been a great addition to our Stenciling with Doilies series back in November, if only I’d found it sooner!